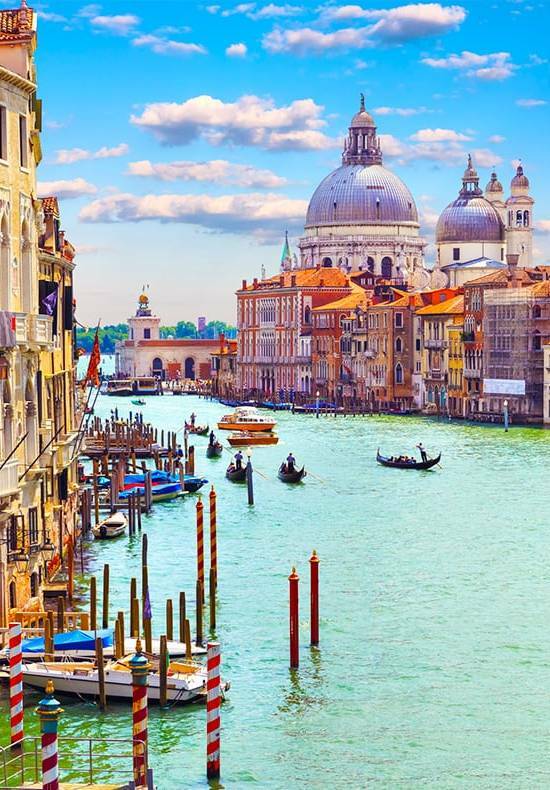 Italy is on the bucket list of almost every traveler in the world: natural beauty, incredible food, unique art and astonishing style. Italy boasts 51 UNESCO World Heritage sites, which makes it home to more sites than any other country in the world. Each region is a world apart and you can find Alpine landscape in Trentino, Piedmont or Val d’Aosta, sunny beaches and Greek cities in Sicily, Apulia or Campania, green forest in Umbria, hill dotted countryside covered of vineyards and cypress in Tuscany and Veneto. Italian Food is second to none. Italy is a regional country and even short distances can mean dramatic differences in terrain, language and food. Italy has literally thousands of different grape varieties: much of what is produced is done on such a small scale that the bottles can’t be found outside of the region.